Ah pasta! A classic staple for when there’s nothing else in the cupboard. But what if you’ve ditched dairy and still crave the comforting ooze of good old macaroni cheese? 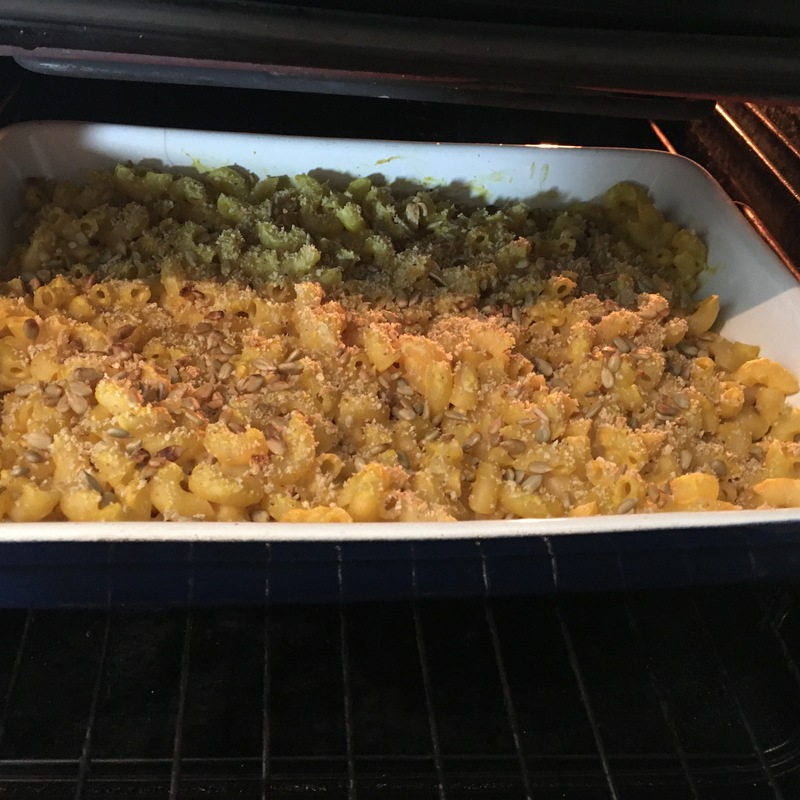 Make this plant-based macaroni cheese tonight! There are lots and lots of “no-cheese” sauce substitute recipes out there: carrot and potato, soy milk and corn flour, cashew ricotta… with or without nutritional yeast. This one here uses butternut squash and onion, and you can add Dijon mustard and/or nutritional yeast if you like a stronger flavour. An on-trend variation includes sriracha for a spicier flavour. As for the pasta, feel free to substitute spelt or any gluten-free pasta for the macaroni. If you give this recipe a go, please take a picture of your #mac’ncheese creations and tag #edinburghbeetrootcafe on Instagram, so we can give you a 👍. The music in the video is by the excellent Alex Marten of Burning Dog fame. Thanks to him. Boil the butternut squash and onion for 15 mins, drain and reserve 1-2 cups of water. Boil the pasta for 8 mins and drain. Put in the blender all the sauce ingredients and 1/2 cup of the reserved cooking water to start with, adding more to help the sauce blend until completely smooth with a creamy consistency. Add any extra flavourings at this stage if you wish (sriracha, nutritional yeast…). Mix the sauce into the pasta until all the pasta is coated. Pour into an oven proof dish and sprinkle with the topping ingredients. Place under grill for 10 mins maximum to crisp up the top. Enjoy with some leaves and a slaw or some kimchi*. Try this quick fennel slaw using shredded red cabbage, sliced fennel and grated carrot, mixed with a little vegan mayo. * recipe coming soon. Subscribe to the blog if you want to get it in your inbox first.